Ok, I'm a little embarrassed this time. I thought that it was getting close to a month since I had posted here, and when I looked back I was astonished (and embarrassed) to find that I have been quiet since the beginning of December. Shame on me! There are several reasons for this. Our flying has still been quite slow, and when I am not flying as much, office work doesn't really generate a lot of interesting fodder for this blog. On an upbeat note about our flying, just last week the UCAA (aviation authority here in Uganda) finally gave tentative approval for our manuals, asking for only a few small changes to be made. This is a HUGE answer to prayer for our program, as we have been limited to flying only within Uganda since last July. This means that in only a few more weeks we should be able to resume "normal" flying, going back into both South Sudan and East DR Congo. For those of us that have been here longer, this is a welcome thing, and for the new pilots to the program who have not yet experienced the normal pace of Uganda program flying it will be a bit of a learning curve as they get up to speed with international flying and our airstrips in these other countries. This also means that I should begin posting here more regularly again as more flying generates more stories! Since my last post, I have been "checked out" again in our Cessna 206 aircraft. This is the smaller 6 person plane that I first flew when I arrived here in Uganda. 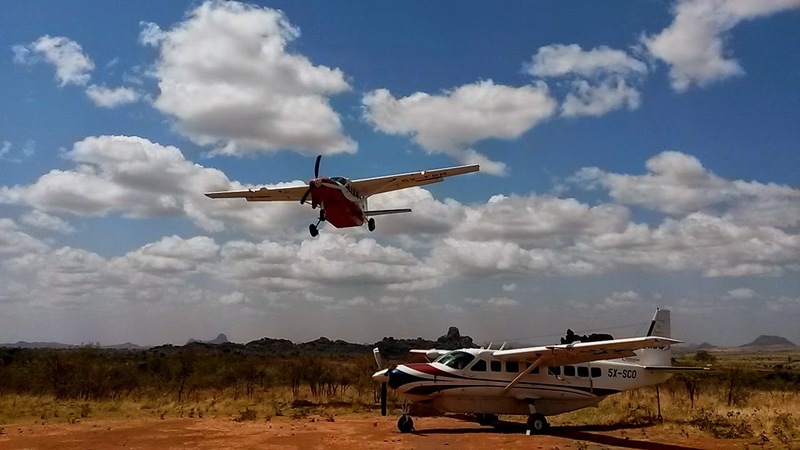 We have had several new pilots come to Uganda, and they have moved into the Caravan, which left a gap that needed to be filled for flying the 206. A lot of the time I get these sly little smiles from people when they see that I have been scheduled to fly the 206 rather than the Caravan, but the last laugh has been on them as I have been getting far more flights on my schedule because of my ability to fly any of our airplanes, while they are stuck "only" flying the Caravan. I have really enjoyed getting back behind a reciprocating engine, even though it is definitely louder than the turbine engine. The 206 doesn't have an autopilot or any of the fancy avionics that our Caravans are equipped with, and it is not able to be flown IFR (in the clouds). It has forced me to polish off and sharpen some of the skills associated with this kind of flying that aren't used as much in the Caravan. As we get into the rainy season some time during the next few weeks/months, it is sure to provide me with some interesting situations and challenges as I cope with the changing weather here. Below is a picture of me doing my thing in the 206 one morning. One of the unexpected positive things that has happened as a result of being "confined" to Uganda, is that we have seen the amount of flying that we do here in Uganda increase in the past few months as people have realized that we are available for more flying here. It is not unusual now to see three of our caravans fully loaded with people, taxiing out in the morning as we fly workers northwards into the Karamoja region of northern Uganda. I was able to take the picture below one morning when we had to split a load between two of our airplanes in order to stay beneath the aircraft weight limits. This is Kaabong airstrip, up close to the South Sudan/Uganda border. Most of the weight that was carried in this instance was food supply for the missionaries working there. I was the first pilot to land there that morning (that's my ride parked on the ground) and got this shot as the other pilot, fellow Canadian Matt Eagar, flew overhead on short final. While I waited on the ground I was able to spend a little time talking with the missionaries who live and work in Kaabong. They were in great spirits, having had an unexpected downpour of rain the evening before. They had not had any rain since some time in November, and as their water is collected entirely by harvesting rainwater they were getting to emergency status. The downpour the evening before had ENTIRELY FILLED all of their water tanks (to try to imagine that kind of downpour, climb into your shower fully clothed and then double or triple the water flow), so they were in very good moods. How dry is it up there right now? Well, when I landed the next morning there was nothing but dust everywhere, with no evidence of the crazy rain the night before. 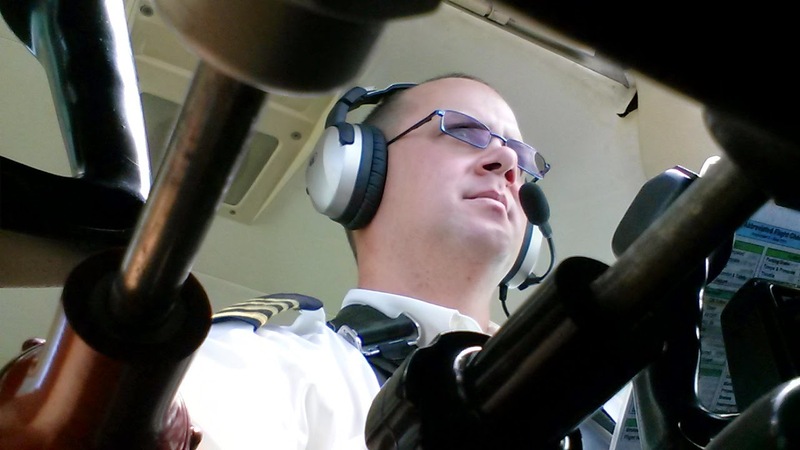 All of us pilots have additional responsibilities in addition to our piloting duties, and with the extra time on the ground has come the time for many of us to catch up on projects that have been left on the back burner for months or even years. It has been great to see these projects coming off the shelves and being finished off after so much time. One other thing that may happen in the coming week is that I may (it hasn't been confirmed yet) be traveling up into northern Uganda with one other pilot to assess the work that is being done on an airstrip there. It is located in a place called Adjumani, and although we used to fly there we have not flown there in many years because of the deterioration of the airstrip. Because of the conflict in South Sudan, many Sudanese have fled their country and there is a large refugee camp that has been established there in Adjumani. Many missions and NGO's have begun to work with the people there, and the closest airstrip is still some distance away. One of the larger NGO's had decided to repair the airstrip and has asked that we be involved in the process to ensure that it will meet our requirements for use once it is repaired. If I do end up going there I'll try to take a few pictures. I always enjoy traveling by ground to the areas that we fly into, as it is always a good reminder of one of the reasons that we are here. Either way, it will be an exciting time when we are able to fly in there to re-open the airstrip. It will allow us to serve so many people much more effectively than we are able to do now.